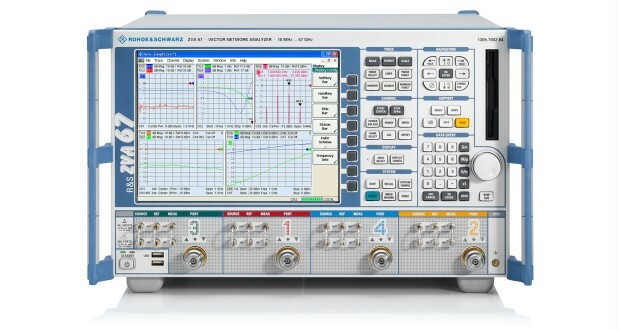 The R&S®ZVA series is an ideal choice for demanding measurements in the lab and in production – from filter measurements requiring maximum dynamic range to linear and nonlinear measurements on amplifiers and mixers as well as on receivers and transceivers. The R&S®ZVA contains one source per each pair of ports. In addition four source models are available for R&S®ZVA24 and R&S®ZVA40. TheR&S®ZVA67 has one source per port. A special switch arrangement allows parallel signal output, i. e. signals can be output to the DUT via all ports at the same time. In addition, direct generator and receiver access is provided optionally. This concept offers many advantages with regard to measurement speed and functionality. 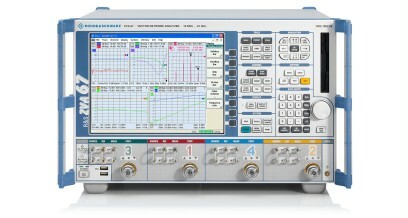 Parallel signal output and measurement at the test ports for measuring two or more DUTs simultaneously.